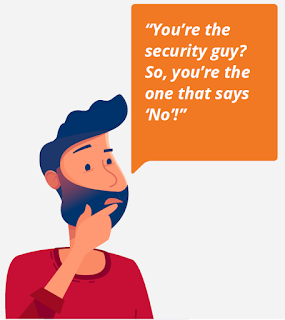 The information security function within business has gained the rather unfortunate reputation for being the department of “no”, often viewed as a blocker to IT innovation and business transformation. A department seen as out of touch with genuine business needs, and with the demands of evolving workforce demographic of increasing numbers of numbers Millennials and Centennials. However, new research by IDC\Capgemini reveals that attitudes are changing, and business leaders are increasingly relying on their Chief Information Security Officers (CISOs) to create meaningful business impact. The study bears out a shift in executive perceptions that information security is indeed important to the business. 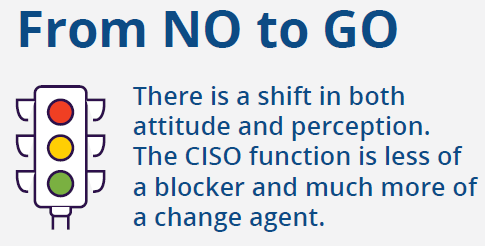 With the modern CISO evolving from that of a responder, to a driver of change, enabling to build businesses to be secure by design. 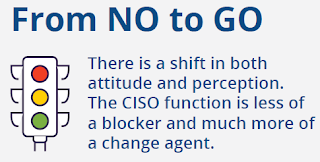 The survey found CISOs are now involved in 90% of significant business decisions, with 25% of business executives perceive CISOs as proactively enabling digital transformation, which is a key goal for 89% of organisations surveyed by IDC. What does Cybersecurity have in store for 2019?